I'm embarrassed to say but I won Corrie's 'Most Embarrassing Giveaway'. If you want to read my embarrassing story, I'm afraid you'll have to trawl through all the comments yourself!! I'm NOT putting it out there twice! Anyway, what did I win? This delicious pile of fabric goodness. Thank you so much Corrie. Yay! A worthy winner, in my opinion! I was going to send you a prize myself if you hadn't won. Ha! wow awesome fabric - lucky you!! Oh well - it was somewhat worth it then? Well deserved win! Love the sweet fabric. Perhaps 'lucky you' doesn't quite cut it this time!?! Thanks for the laugh though, I've now tagged Retromummy's post (I must have missed this one), to go back and read when I need a pick me up. Classic, Andi, classic. Oh dear! A worthy prize winner indeed. And yet another reason to NOT wear white pants! heehee, worth crapping your pants for! Jealous.... (of the fabric, not the pooey pants). I entered for that as well but you really , really deserved to win ! I hope it makes up a little for you ! 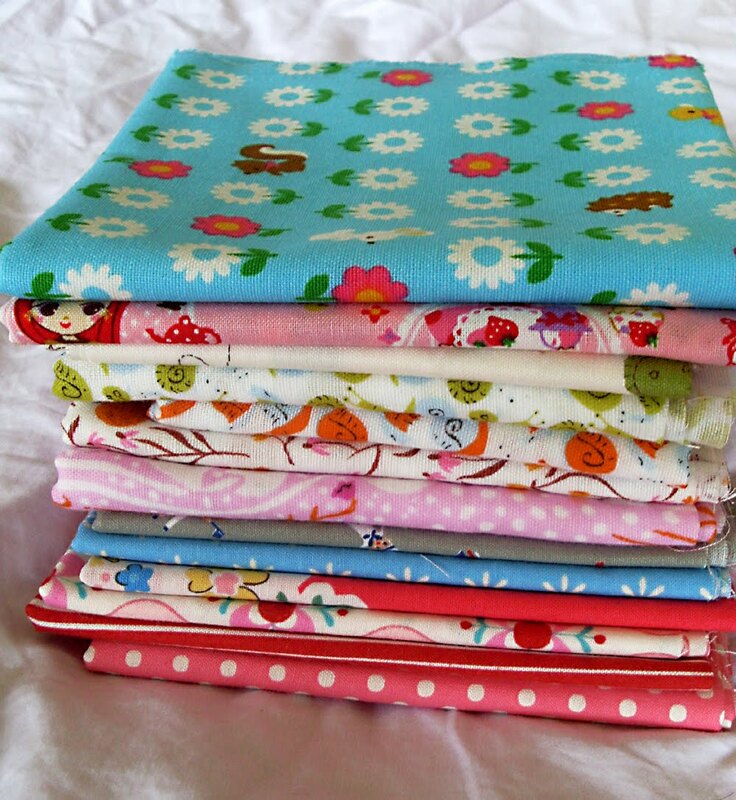 So happy you won the great fabrics - won't say any more for fear everyone will think I have a 'potty mouth'! Going back to read some more stories! Good for you, congratulations on a great win. congrats on your gorgeous winnings! how fun! good choices I love the colours of them all piled together!!!!! I hope it was worth outing yourself! 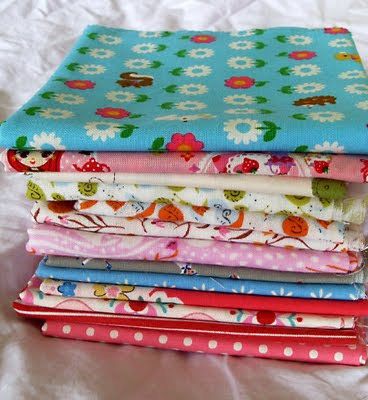 that is a beautiful bundle - I'd probably tell an embarrassing story for that lot too!